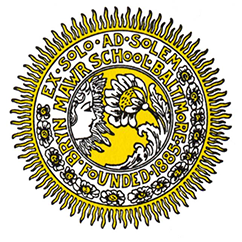 The Bryn Mawr School Archives maintains a collection of materials dating from before the school opened in 1885, including photographs, documents and various types of memorabilia and artifacts. Please take a moment to look through some of the primary source material on the Online Exhibits pages. There are newspaper articles chronicling the construction of the Cathedral Street school building and its opening in 1890, early graduations, school catalogs, and Alumnae Bulletins which give insight into the decision to move the school to its present 26 acre site, in what was considered the country in 1928. You will also find issues of the newspaper The Quill from the 1980s, the 1950 campus map drawn by Elsie Kemp, Class of 1950, as well as a 2010 aerial photograph of the school.